1. Starting in September, this blog is going to new posts every two weeks and for special occasions. This is mainly to have more time to pursue other activities and to work on other, more pertinent issues involving DRev's future. 2. I'm preparing a survey to those that follow this blog to see what you want. i. New Races/Related Race Material: I think ultimately we have a breadth of races, but if there is something you want to see, let me know. ii. Relic Road Show: Do you like seeing the repackaging of common attractions as places of magic. iii. New Monsters: I love monsters and I love building them. we're still stewing on the metric we use, but will be more then happy to let loose if inspired. iv. New Builds: I love builds and as specified in an earlier blog, found them as a great way to balance the complexity with the system while still allowing easy models to know what your playing. vi. Dimensional Gauntlets: I can create a small location that has it's own unique elements due to it's dimensional nature. I will try to get the survey out in September and would love feedback when I do so. i. Labour day (Sept 7th, Monday). Feel free to suggest themes for these particular days and I'll see what you can come up with. If you also have a particular day that would be fun to post stuff for, let me know as well. 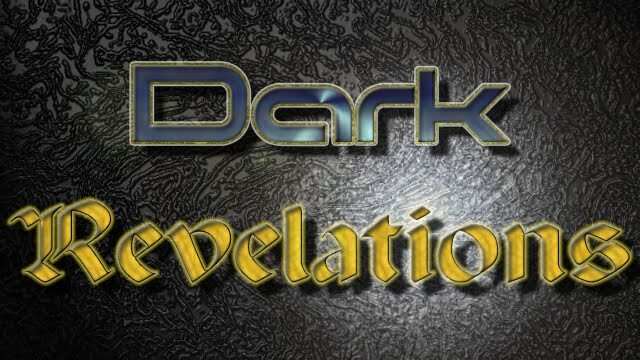 4. the 6th book of the Dark Revelations - The Role Playing Game will be coming out on December 5th. Called "the Book of Progress", it will be the book that shows robots, cyborgs and similar stuff. It is still in development, but should be easily ready by this time. If your interested in seeing a preview copy and providing feedback, please let me know via email. 6. After the 6th book is done, I'm at a cross roads of what to do next. some ideas include the following. 7. I also want to confirm if using a d20 base or ogl base is the way to continue with this project? I don't really want to create a new system from scratch, but would be willing to consider re-purposing a game with an ogl or easy game licence. Contenders include, but are not limited to, the following: 13th age, Apocalypse world, fate, Numumera, savage worlds, and the action system. If Dungeons and Dragons 5e comes out with an ogl after this post, this will be considered as well. 8. I'm seriously considering trying to get my books on onebook (ex. rpgdrivetrhu). However, I have little familiarity with it and would love to talk to those that have had experiences before jumping into it. The main bottleneck is I don't want to charge for these until I know I can line up the right people to enhance the overall design, get solid feedback and get an art budget. 9. Finally, I would like to announce project Helper Monkey. If you are an aspiring game designer, blogger or have a podcast and would love help or know somebody that does, feel free to contact me. I'm currently stuck in Edmonton Alberta Canada, but am willing to use electronic means to assist in any way I can. Ultimately, I'd love to run a kickstarter for this project in the fall of 2016, but crossing what I call "the pay line" is something I'm wary of without the comfort of support. Feel Free to send feedback via twitter, email or face book as it help with the times to come.